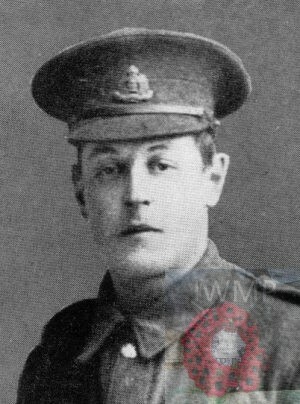 Died: 3rd July 1916; age 22; KiA. 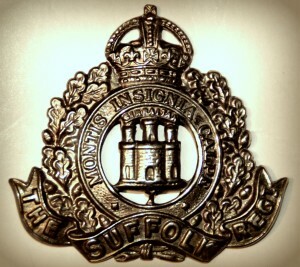 Relatives Notified & Address: Son of Mrs Sarah Baker, of 16, Bradley Street, Ipswich. 1901 8, Great Whip Street, Ipswich. Benjamin was 7 years old and living with his mother & sister. Sarah Baker (nee Chenery), 37, born Blo, Norton, Norfolk. Eva May Baker, 6, born Ipswich. 1911 16, Bradley Street, Ipswich. Benjamin was 17 years old, a Wood Machinist – Foundry Water Side. He was living with his parents, sister & widowed maternal grandfather. Benjamin Baker, 46, a G.E.R. Labourer, born Blo, Norton, Norfolk. Eva, 16, a Book Binder. Charles Chenery, 85, born Thelnetham, Suffolk. Benjamin’s father Benjamin Baker died, 1919, Ipswich. Benjamin is also remembered on the Ransomes & Rapier war memorial, Bourne Park, Ipswich. I have over the years traced my late mother’s family tree and find that Benjamin Charles Baker was her cousin. I know she had aunts and uncles in Ipswich as her mother, my grandmother (maiden name Baker) worked in Ipswich for a time and I think lodged with them, before returning to Norfolk. My mother did not know anything about them or Benjamin, other members of the family had moved to Hendon and Durham, as I understand there was little work for them in their home area. 1 Pings/Trackbacks for "BENJAMIN CHARLES BAKER"